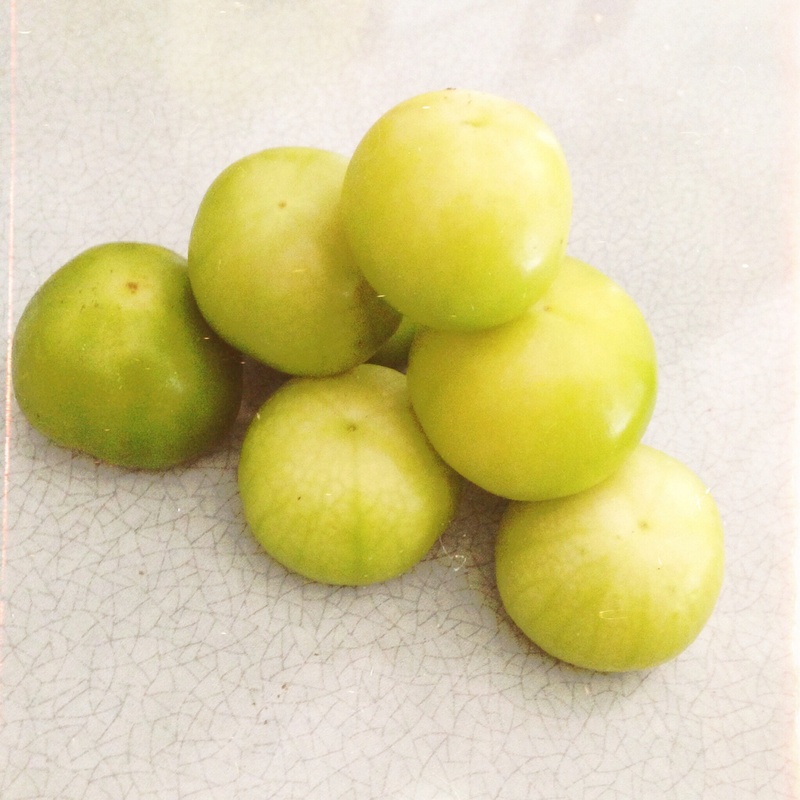 According to that obvious tomatillo guru, Wikipedia, the tomatillo (Physalis philadelphica), is a plant of the nightshade family, related to the cape gooseberry. 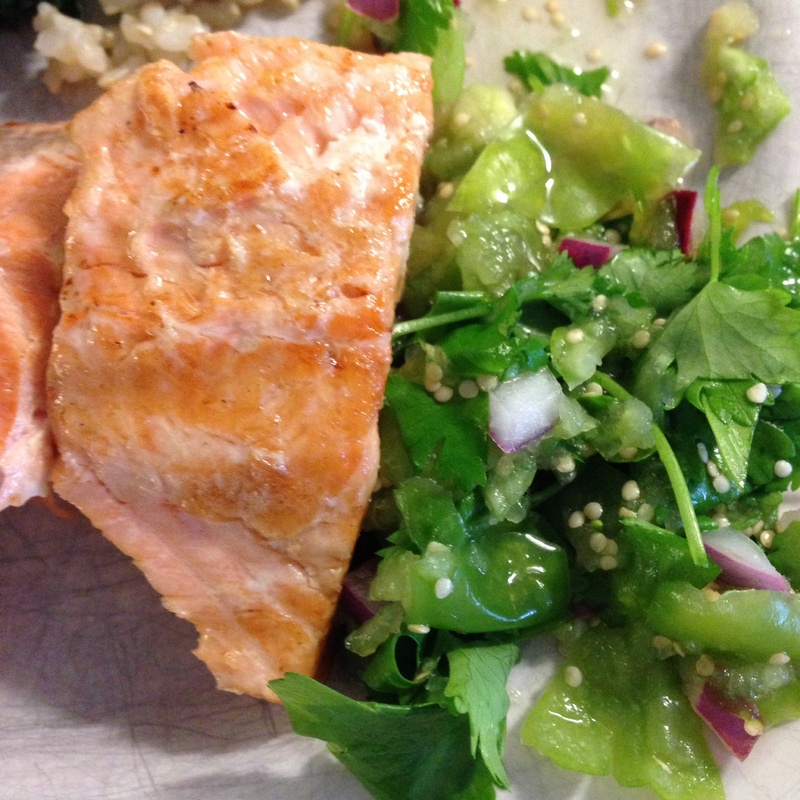 Tomatillos originated in Mexico, and are a staple of Mexican cuisine. With Mexico in mind I followed the Riverford recipe for Mexican salsa verde, combining the tomatillos with red onion, fresh coriander, the juice of a couple of limes, some garlic, a teaspoon of brown sugar (I used coconut palm sugar), and sea salt. And the result was amazing and delicious! I teamed it with salmon and it was a revelation. Yes, a salsa, but with an extra piquancy you don’t get with the usual Mexican meal salsa-with-sour-cream-and-guacamole combo. 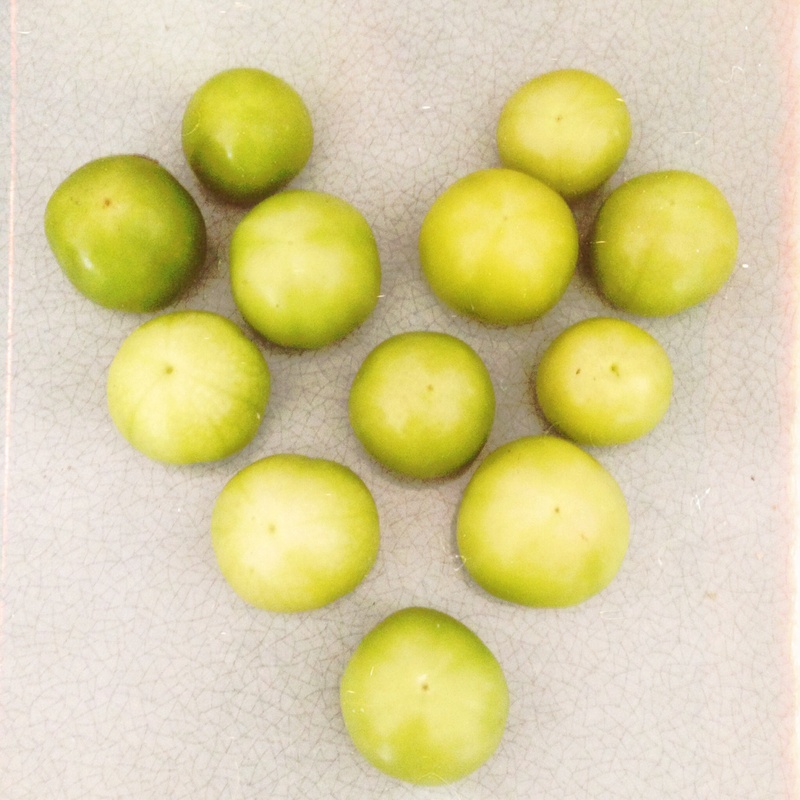 If a little box of tomatillos ever crosses your path, grab it with both hands and make merry!